Why See A Chorus Line? TUTS 51st season kicks off with the razzle, dazzle and bright lights of Broadway in the ultimate musical love letter to the Great White Way! A Chorus Line first opened at the Shubert Theater in 1975 to much critical acclaim and went on to run for a staggering 6,137 performances, a feat only surpassed over two decades later by Cats. It garnered an astounding nine Tony Awards as well as the Pulitzer Prize for Drama thanks to its moving, deliciously sweet and often funny portrait of the unsung heroes behind the Nathan Lanes and Bernadette Peters of our time. 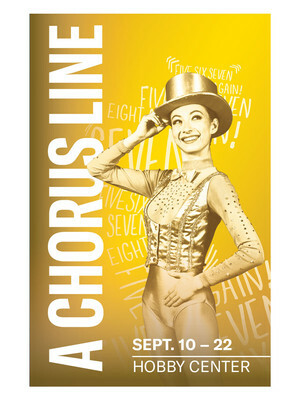 Overworked, underpaid and dedicated to their craft, chorus dancers take the spotlight in A Chorus Line's sizzling story. 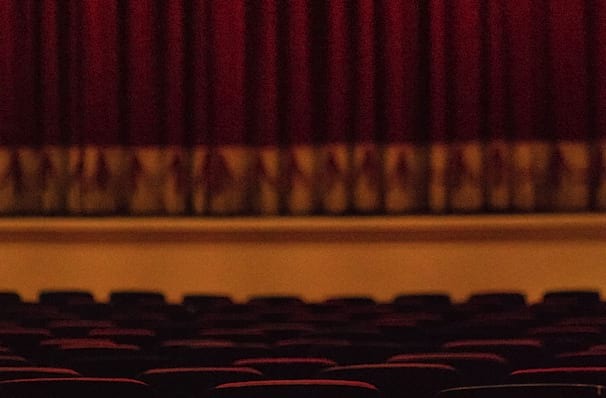 Taking place over the course of a rigorous audition process for an upcoming Broadway tuner, it chronicles the experiences of a group of hopeful performers as they bare their souls and life stories. There's streetwise Sheila, who discovered ballet as an escape from her unhappy home life, the tone-deaf scatterbrain Kristine, Mike - a child star turned aggressive adult dancer and Pual San Marco, a gay Puerto Rican dancer who survived an unhappy childhood, amongst others. By the time they've all shared their stories, their shared rejections, injuries, pains and heartaches suffered in pursuit of their dreams are remarkably relatable and identifiable. Seen A Chorus Line? Loved it? Hated it? Sound good to you? Share this page on social media and let your friends know about A Chorus Line at Sarofim Hall.